Clean and washed the Mushrooms and cut in half. Sautéed the Mushrooms in hot oil on the flat size, seasoned, finished with Butter and then added the Apples. 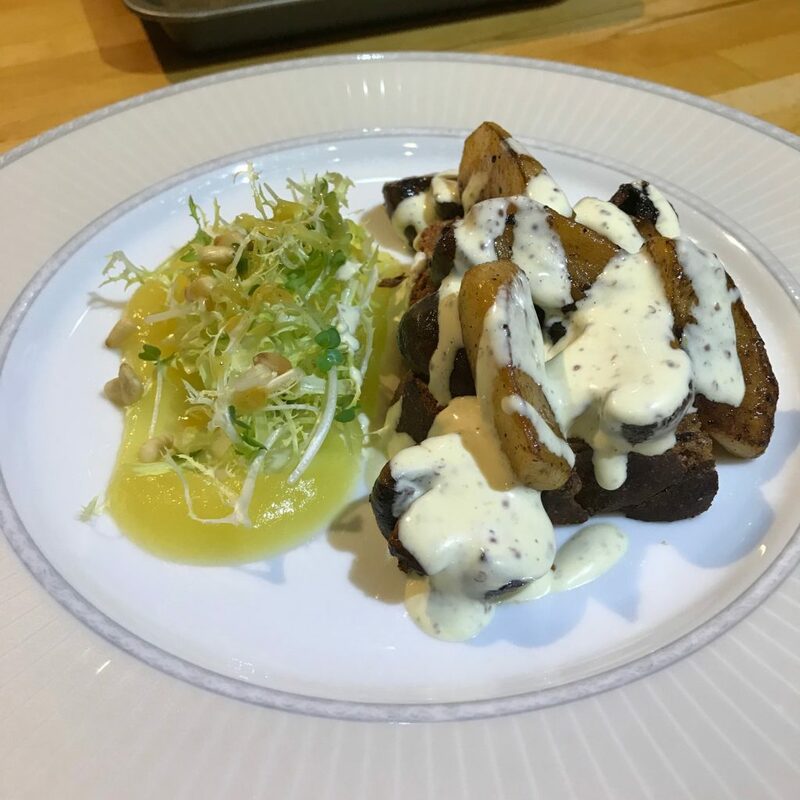 Served with Apple Puree, Leaves, toasted Walnut Bread and dressing made from Mustard, Yoghurt, Cream, Mayonnaise, Cider Vinegar and Seasoning. 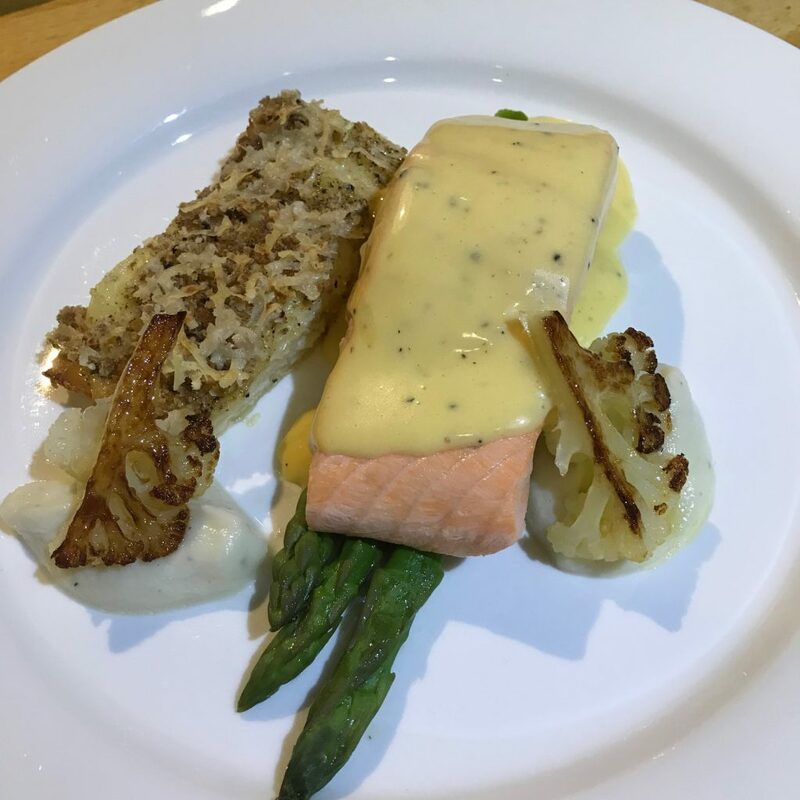 Poached the Salmon and served with Pommes Gratin, Asparagus, Cauliflower Cheese Puree, and Hollandaise Sauce. Poached the Pears in a Sugar Syrup with Cinnamon. Served coasted in a thick and sweet Custard sprinkled with Crumble.